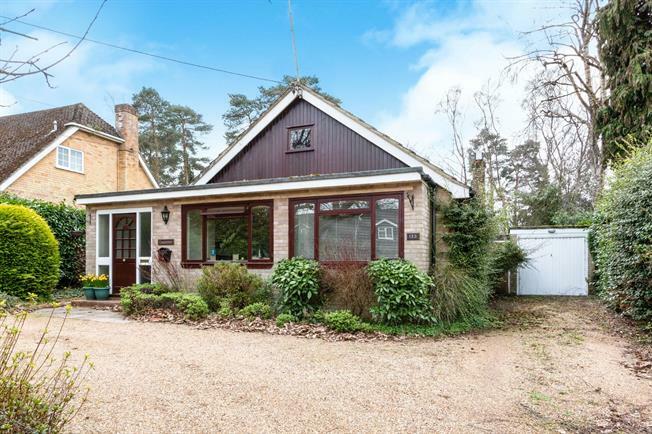 3 Bedroom Detached Bungalow For Sale in Bordon for Guide Price £435,000. This three bedroom detached bungalow is situated in a quiet residential location, and offers a buyer huge scope to improve or extend, subject to the usual consents. The bungalow sits nicely within its plot, giving a feeling of privacy from all aspects. The spacious accommodation comprises two well proportioned reception rooms, kitchen, three double bedrooms and a family bathroom. The garden is private, enclosed and level, mainly laid to lawn and with a patio area ideal for entertaining. There is plenty of parking in the driveway, and a double length garage.